This is the second update for CG210 that I've been using for 44 days continuously. Read the first month update here. I've mentioned in my previous post that women can also suffer from hair loss, and baldness isn't men problem alone. I always think that hair style completes my look, that's why I keep changing my hair style, hair product, hair colour, etc. My hair has became so damaged. Thankfully, I discovered that CG210, a hair and scalp treatment, can lessen hair loss. 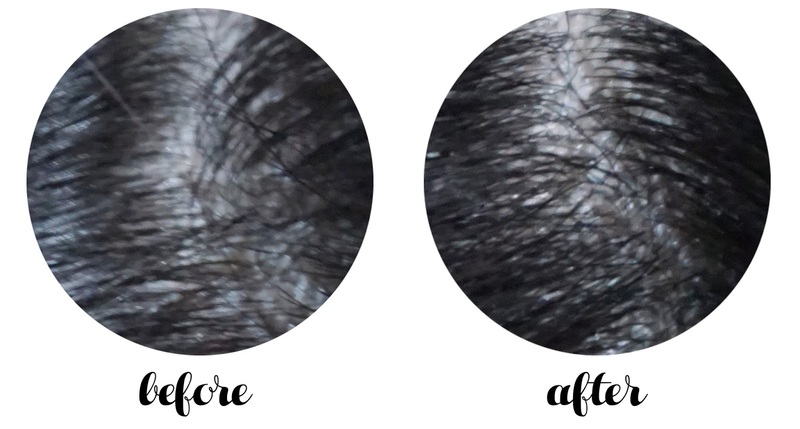 CG210 claims it can add up to 8,200 healthy hairs within 90 days. 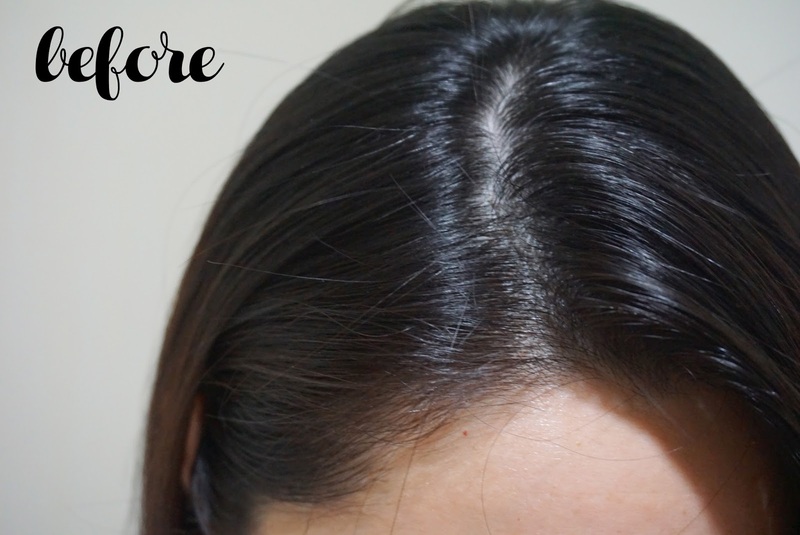 I already posted some updates last month, and now I'm going to show you the result of using CG210 in 44 days! My hair was already thick to begin with, so you won't really notice the difference just by looking at the pictures. So I'll try to explain as best as I could now. I took the first photo before I used CG210, the first thing I noticed was my hair looked so dull, while my hair after using CG210 looks much healthier, I never noticed it until I saw the comparison between these two pictures. So I tried to zoom in the photo, I hope you can see it more clearly now that I already got new healthy hairs growing on my head HAHAHA! It seems not a big difference NOW, but as I keep using CG210, my new hair will become healthier and stronger, in greater quantity! I will (of course) keep you all updated for more results of using CG210. They have two fragrances: Berry (for women) and Mint (for men). 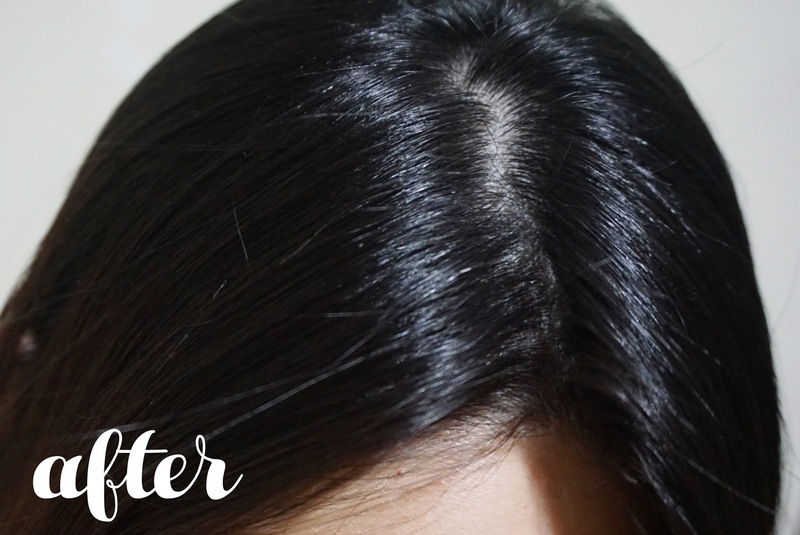 If you've been fighting against hair fall, or worse, I strongly recommend you to try getting a bottle of CG210. I will try to search it , because I really need it now. my hair is falling more and more, this season .